There are several gated communities in Northeast Florida, but only Queen’s Harbour Yacht and Country Club offers its residents so many luxury amenities amidst a naturally diverse setting conveniently located near all that Jacksonville has to offer. Queen’s Harbour Yacht and Country Club is the northernmost luxury gated community in the Jacksonville and Jacksonville Beach area. It was founded in 1990 to realize a vision of a community for residents who were searching for an active lifestyle in unparalleled luxury and natural beauty. One unique feature of the community is a deep, freshwater lagoon that accommodates boats up to one hundred feet. 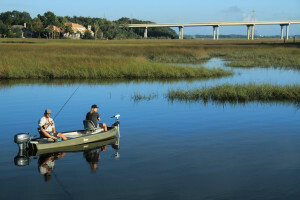 Many homes that border the lagoon have private boat slips (a feature that is uncommon in similar communities on the East Coast), with access to both the St. Johns River and the Atlantic Ocean via the Intracoastal Waterway. A centrally located marina next to the country club offers boat slips with power and water service so that residents can keep their boats ready for action while providing club members convenient access to the club’s pool and dining facilities. Membership at the club and access to its amenities is not required as part of home ownership. Membership is by invitation-only to preserve the exclusivity and high quality that the club prides itself on. Membership fees are highly competitive and designed to give members maximum value. There are approximately 1,000 homes in the community that are owned by families, individuals and couples, young and old. The mixture of activities, amenities, golf opportunities, and superb boating lifestyle create a dynamic, vibrant neighborhood unlike anything else in the world. Modern lifestyles and historical, natural beauty join hand-in-hand at Queen’s Harbour Yacht and Country Club. The community is located just 15 minutes from Downtown Jacksonville and it’s an even shorter drive over the Intracoastal Waterway to reach some of the finest beaches on the East Coast. 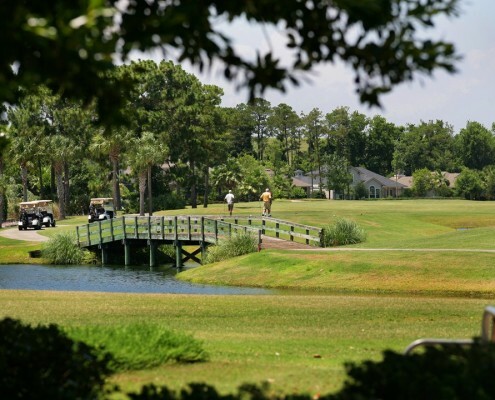 Residents enjoy walking, running, and biking over miles of landscaped roadways, taking a boat trip down the Intracoastal Waterway, playing a round of golf, enjoying a tennis match and celebrating a night on the town – all in the same day! Queen’s Harbour Yacht and Country Club is ideally located and provides unparalleled access to major employers and transportation hubs in Jacksonville. The community is close to Mayo Clinic, Baptist, Memorial and St. Vincent Hospitals for convenient access for medical professionals and residents alike. The University of North Florida, Florida State College and Jacksonville University are nearby colleges within a 15 minute drive for resident faculty and students. Professional athletes enjoy expressway access directly to Downtown football, baseball, soccer and basketball sports facilities. The Jacksonville International Airport (JAX) is 25 minutes away and Craigs Airfield (JAXEX) is five minutes away. The Southside Business Park is also convenient. Access to a wide network of roadways, interstates and side streets provide many options for commuters.